I loved the bright colours in Laura's card (and the fact she used a Handmade Harbour freebie!) and who could fail to be impressed by Angelique's beautifully made After Eights Dispenser!! Wow, chocolate and handmade craft. What's not to love? Laura and Angelique, you both win three Handmade Harbour digital stamps and get to display the winner's badge on your blog (it's in the left hand sidebar, you may need to scroll down a little). Please email wendy@handmadeharbour with your choice of digis and I'll email them to you as soon as I can. Lynne is from Canada and (feeling patriotic after the Olympic medal count!) she went with her country's flag colours... a great sentiment too, which I'm sure would be endorsed by many of the Olympic teams and medallists! 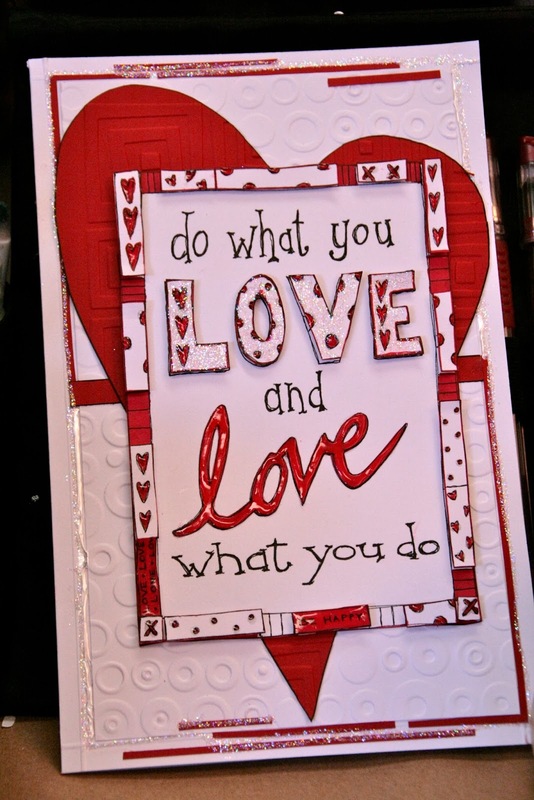 The do what you love and love what you do digistamp is perfect for wall art as well as cards. Rachel went with all three colours but ended up with a beautifully soft and gentle look to her card. It makes for a really sweet thank you card using the girl with flowers digistamp. This stamp includes the thanks message on the bunch of flowers. Aleksandra used all three colours, too! I love the look of this card - gingham, twine and buttons are three of my favourite card elements so this card is definitely right up my street! 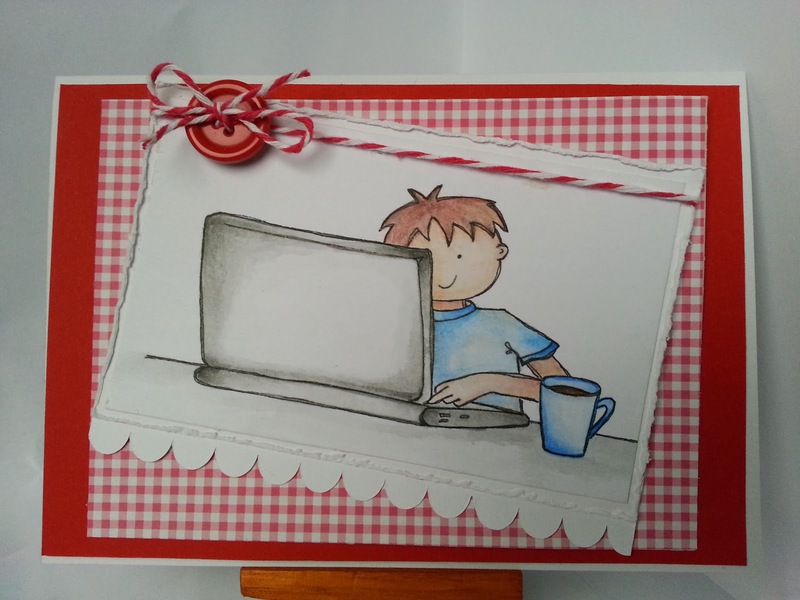 The young guy on a laptop digital stamp is a great one for cards for men or boys - always hard to make for! Just click the linkup text below to join in! Edited to add: sorry for the linking up problems - hopefully it's all sorted now! Oh Wow! Thank you, I am honored to be one on the winners!